Our Kalamazoo car accident attorneys recently settled a lawsuit on behalf of a victim involved in a car-moped accident. Our client was riding his moped at the time of the incident when a driver of a work van ran into him at the intersection of W. Willard and N. Park in Kalamazoo, Michigan. As a result of the collision, our client suffered injuries to his ankle. The driver was cited for failing to yield right of way and is considered at-fault. Our Kalamazoo attorneys file a claim that sought damages for the pain and suffering and disability caused by the moped accident and resulting injuries. We were able to settle the lawsuit directly with the claim representative before even filing a lawsuit. 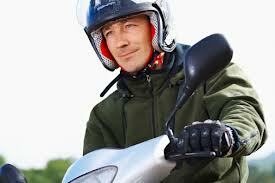 Victims injured on mopeds in a Michigan car accident do have legal rights. Two claims may be able to be filed on behalf of the injured, including no-fault benefits and claim for personal injuries. There are very strict time limitations for pursuing these types of claims so it is important that you contact an attorney immediately to discuss your case. For more information on your rights after a moped accident, call our top rated car accident lawyers now at (800) 606-1717. We handle cases in Kalamazoo and throughout the State of Michigan. We offer a Free, No Obligation Case Review and will represent you under our No Win, No Fee Promise which means no legal fees or costs until we win or settle your claim.